Guided by the vision of its founder, Lawrence J. Schoenberg, the mission of SIMS at Penn is to bring manuscript culture, modern technology and people together to bring access to and understanding of our intellectual heritage locally and around the world. SIMS manages the Schoenberg Database of Manuscripts, which enables scholars to trace the provenance of manuscripts from origin up to today, and provides space for the meetings of the Penn graduate student paleography seminar. It also hosts, in partnership with the Free Library of Philadelphia, the annual Schoenberg Symposium on Manuscript Studies in the Digital Age, which brings scholars from Penn and around the world to present their latest research. Farther afield it collaborates with T-PEN, a web-based tool for working with images of manuscripts, and the Shared Canvas initiative at Stanford University. SIMS is a community of people at Penn and beyond who love manuscripts and manuscript culture. The SIMS Brain Trust is located on the sixth floor of the Van Pelt-Dietrich Library, and anywhere else people are thinking and talking about manuscripts. Henry Charles Lea Library. Preserved on Van Pelt’s Sixth Floor in a room that recalls Lea’s 19th-century townhouse, this remarkable collection assembles the personal research library of Philadelphia’s noted medieval historian (1825-1909). While covering all aspects of medieval history, its particular strengths are the Inquisition, Catholic Church history, and early witchcraft. Medieval Studies Reading Room. This newly renovated room (405) assembles a large number of reference works useful to medievalists and provides a quiet, comfortable space in which to work. Primary-text collections such as the Patrologiae Latina and Graeca, the Corpus Christianorum, and the Monumenta Germaniae Historica, in addition to reference works for the study of literature, paleography, Church history, liturgy and religious history can all be found here. Middle East Seminar Room. Located on the Fifth Floor of Van Pelt (Rm 523), the Seminar room contains a wide-ranging reference collection, including numerous resources for medievalists. Useful standard works for non-Arabists, such as the Encyclopaedia of Islam, Encyclopaedia of the Qu’ran, and the Cambridge History of Arabic Literature can also be found here. Housed in a stunning 19th-century Romanesque revival structure designed by Frank Furness, the “Furness” Library houses over 140,000 volumes (and 900 periodical titles) relating to the history of art, architecture, urbanism, landscape, and design, and includes extensive holdings in the arts of Islam, Byzantium, and western Europe. The affiliated Image Collection, numbering 475,000 slides and 50,000 digitized images (including David Robb collection of manuscript slides), supports teaching and scholarly research in all areas of art and architectural history. The library of the Center for Advanced Judaic Studies supports the advanced research and teaching needs of the Center and the Penn community at large. It houses more than 180,000 monographic volumes and over 1,000 current and non-current journal titles, with approximately 2,000 new titles added each year. The library’s Rare Book & Manuscript Collections include almost three dozen incunabula in Hebrew and Latin, and approximately 450 codices in Hebrew, Arabic, Persian, and Samaritan. An extensive microfilm collection provides additional support for the study of manuscripts, paleography, religion, and literature. Founded in 1887, the Museum of the University of Pennsylvania is an internationally renowned education and research institution dedicated to the exploration of the history of humankind. Although best known for its expeditions (over 400) and unparalleled collections of Greek, Roman, Egyptian, Mesoamerican, and ancient Near Eastern works, the Penn Museum also has in its care works of importance to medievalists. The Near Eastern Department, for instance, maintains a collection of Islamic (esp. Mughal and Persian) manuscripts, coins, tablets, inscriptions, and ceramics. The Egyptian Department likewise preserves precious Coptic textiles and sculptures. 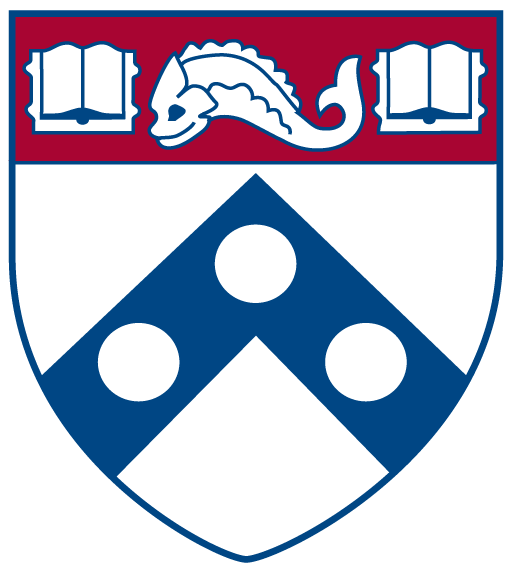 Medievalists @ Penn (M@P) Medievalists @ Penn (M@P) is a reading group committed to developing broad interdisciplinary understandings of the Middle Ages. Comprised of graduate students from across the School of Arts and Sciences (English, Italian, French, German, Spanish, Comparative Literature, and Art History, among others), M@P meets regularly throughout the semester to discuss primary and secondary readings pre-selected from among our various fields of expertise. The group also holds an annual graduate student conference during the spring semester.